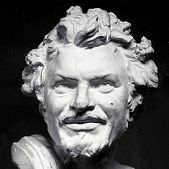 Yannoulis Chalepas was the most notable sculptor of modern Greece and his work has been influencing young sculptors in Greece and abroad. Chalepas’s work is divided in three periods. The first period, 1870-1878, covers the years of his youth and later mental illness. The second period, 1902-1930, covers the years he lived and worked in Tinos after his comeback from the mental institution in Corfu. The third period covers the years he lived and worked in Athens, between 1930 and 1938. 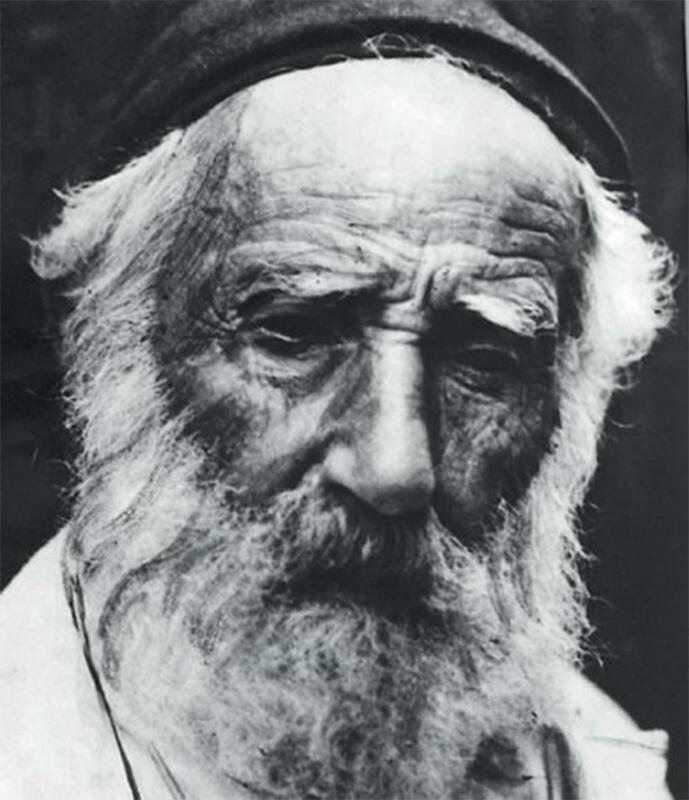 Chalepas was born on August 14th, 1851 in Tinos. 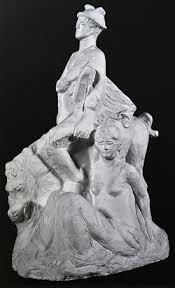 His father John ran a large family business of sculpting marble together with Yannoulis’s uncle. His parents motivated him to become a merchant. However, Yannoulis decided to study sculpting. During the years 1869 to 1872, he studied at the School of Arts in Athens. In 1873, he left for Munich, under a scholarship of the Panhellenic Holy Foundation of the Evangelistria of Tinos, to continue his studies at the Munich Academy of Fine Arts. 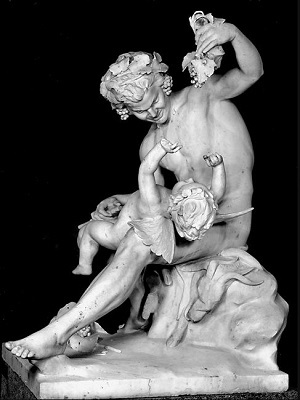 During his years in Munich, he exhibited his works and received awards for The Tale of Beauty and Satyr playing with Eros. In 1876, he returned to Athens and opened his own laboratory. 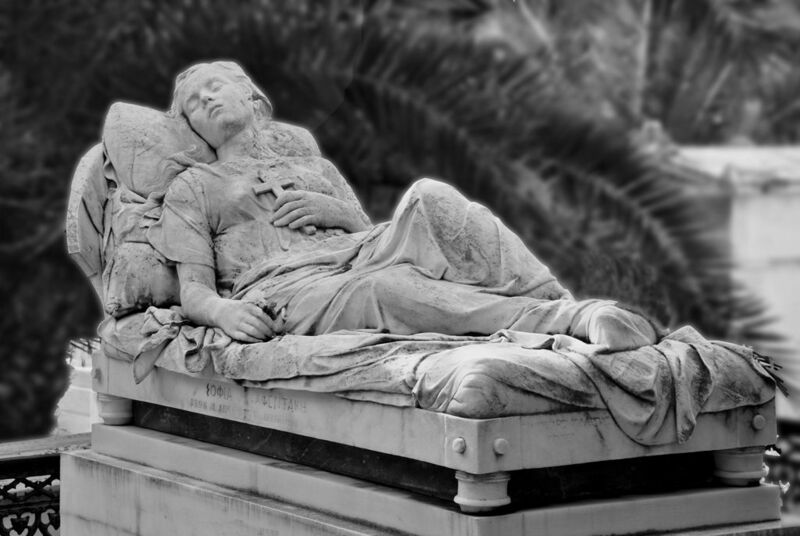 In 1877, he completed his work Satyr playing with Eros in marble and in the same year he started working on his most renowned sculpture, the Sleeping Female at the tomb of Sophia Afentaki at the First Cemetery of Athens. 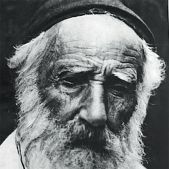 In 1877, Chalepas suffered a nervous breakdown caused by no obvious reason. He began destroying some of his sculptures and made several suicide attempts. His parents sent him on a trip to Italy to recover, but the treatment he followed later proved to act only temporarily. Following his return to Greece, he started showing symptoms again. 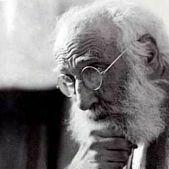 Due to the deterioration of his mental health, doctors diagnosed him with dementia in 1888 and following his parents’ decision, he was committed to the Mental Hospital of Corfu. In 1901, Chalepas’s father died and one year later, his mother together with Yannoulis relocated to Pyrgos on the island of Tinos. 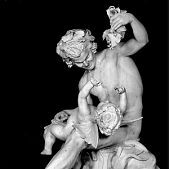 He compulsively destroyed all his works or so did his mother because she thought sculpting was the cause of his son’s illness. When his mother died in 1916, Chalepas had already cut ties with his art. He was living in poor conditions grazing sheep. However, he later found the courage to start sculpting again. The means he had in his possession were poor, but he started creating with persistence to make up for the lost time. 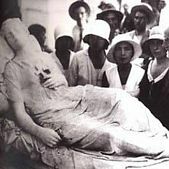 In 1923, Thomas Thomopoulos, a Professor at the National Technical University of Athens and a fierce admirer of Chaleopas, copied several of the sculptor’s works in plaster and later exhibited them at the Academy of Athens in 1925. Thanks to this exhibition, Chalepas received the Academy’s Award for Excellence in Arts and Letters in 1927. 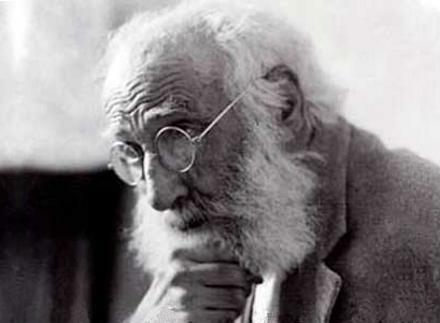 In 1928, a second exhibition with his works was organized at the Art Asylum and in 1930 the artist decided to relocate to Athens, where he died on September 15th, 1938. 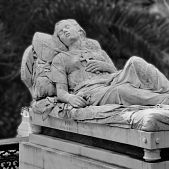 – One of the most renowned sculptures of Yannoulis Chalepas is the Sleeping Female at the tomb of Sophia Afentaki at the First Cemetery of Athens. – The cause of his mental illness was his perfectionism, the overwork fatigue and an unfulfilled love for a younger compatriot, following her parents’ rejection of his marriage proposal. – It is claimed that among of all the works he created in the mental hospital, only one was saved thanks to a guard that stole it and hid in the basement of the institution, where it was located in 1942. 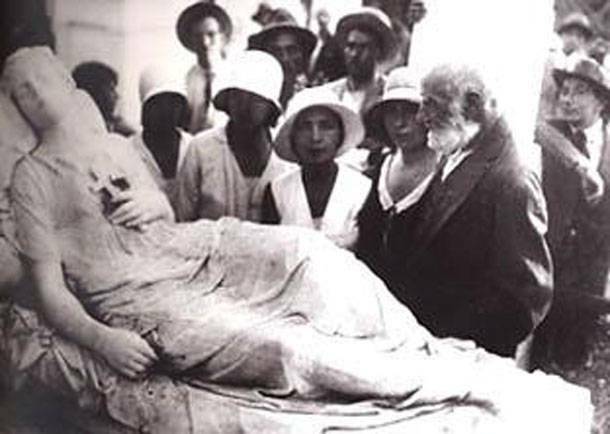 – In 1925, the Academy of Athens organized an exhibition of his works and later in 1927 Chalepas received the Academy’s Award for Excellence in Arts and Letters. 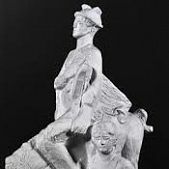 – Currently a total of 115 of Chalepas’s sculptures are saved and evidence proves that there are 30 more works that were either destroyed or missing. απο πολλα χρονια πριν μου ειχε κανει εντυπωση μεγαλη και ειχα θαυμασει την κοιμωμενη στο Α`Νεκροταφειο Αθηνων. 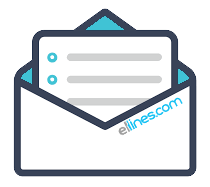 Τελειο. μ`αρεσε πολυ. Ζωντανο. ΜΠΡΑΒΟ !! !